Compass Aviation has purchased a Cessna 206! When completed, the 206 restoration project will provide Compass with a perfectly-equipped advanced flight trainer, all for half the cost of purchasing a flyable plane of the same type. Repositioning the 206 in preparation for restoration. Compass received more than $25,000 in donations, and was able to purchase a damaged Cessna 206 that we can restore for far less than purchasing a flying model. 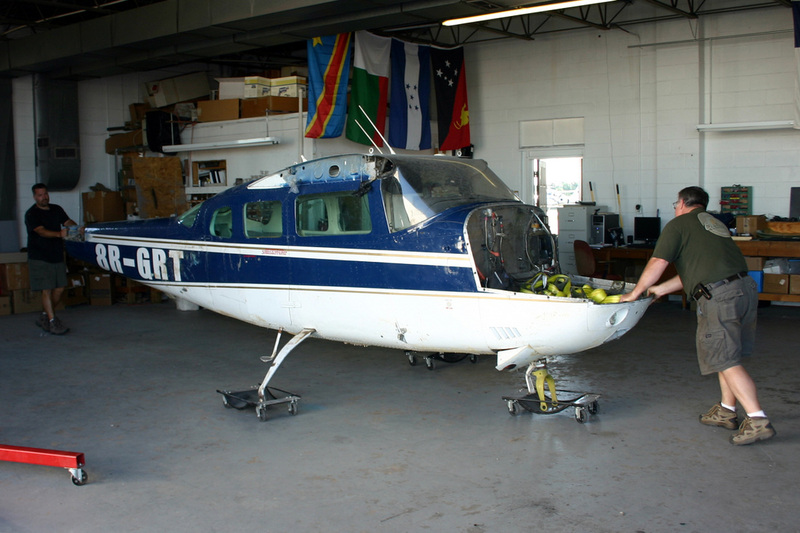 Having crashed in the jungles of Guyana, this plane was shipped by its former owner to Miami, FL. Jamin Peck and Jeffrey Spang, missionary candidates at Compass, flew to Miami and inspected the plane prior to purchase. The 206, ready to come out of the trailer. How did you get it to NC? We are amazed at God's provision: Compass came in contact with ALFA AERO, a volunteer organization in Florida that exists specifically to assist in small-plane freight logistics. 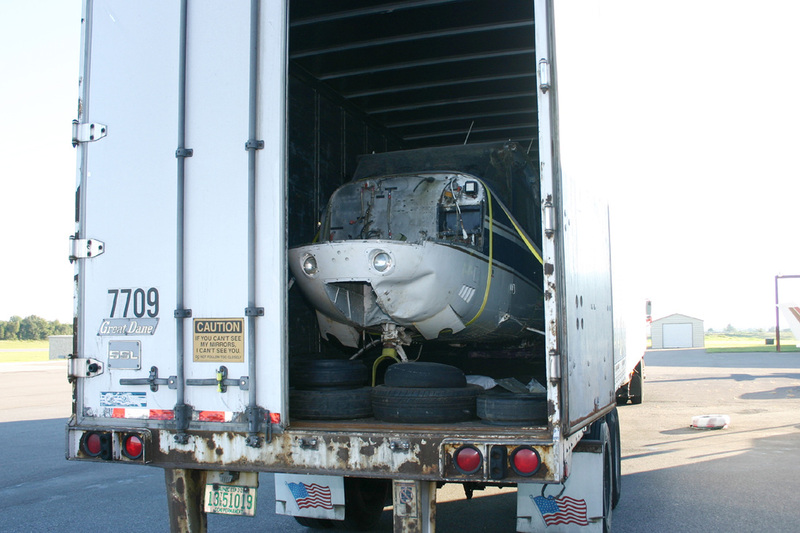 Although they normally load packages onto planes, and not planes onto trucks, ALFA AERO gladly assisted Compass, sparing us the cost of hiring loaders, as well as the expense of another trip to Florida to supervise. We have already begun repairs, which include lots of sheet-metal work. Praise the Lord with us for His provision of finances to purchase newer avionics, and to begin replacing damaged components. Tail section: $5,000 NEED MET! These repairs and modifications are required to transform the project 206 into the perfect missionary pilot training platform. For updates on this project, check out our blog!